Burlington, Wis. (August 22, 2017) LDV, Inc., an industry-leading specialty vehicle manufacturer, deepened its commitment today to the mobile medical vehicle (MMV) market through the creation of a MMV-specific team of employees and a dedicated blog on the company’s website. Leveraging 40 years of technical knowledge, product integration expertise and consultative skills in the specialty vehicle industry, the mobile medical team will primarily focus on delivering durability, reliability and aesthetics for an optimal patient experience. LDV, Inc.’s monthly blog updates will highlight best practices and serve as a source of knowledge for operators and purchasers of mobile medical vehicles. The blog can be found on the company’s website at http://www.ldvusa.com/category/mobile-medical-vehicles. Built to comfortably provide mammography, dental, medical outreach and blood donation services, LDV, Inc.’s mobile medical vehicles deliver state-of-the-art technology and medical equipment, dependable chassis, body and interior components and ergonomic designs to provide customers complete confidence in the performance of their vehicle. Leveraging superior craftsmanship, LDV, Inc. is dedicated to providing the innovation and quality its customers need along with a wide range of expertise and capabilities through a team of responsive, customer-centric problem solvers. Based on the foundation built as a specialty vehicle market leader, LDV, Inc. has established itself as a leading mobile medical vehicle manufacturer with a strong foundation in vehicle design and customization. Having developed a well-respected brand in other industries through its high-quality, customized vehicles and unmatched post-sale support and service, LDV, Inc. has enhanced its ability to serve the mobile medical market through accelerated knowledge and evolution of vehicles, strengthening its capacity to provide products to the industry. With the ability to deliver vehicles across the United States, LDV, Inc. has recently secured several additional mobile medical vehicle contracts for production including a pediatric dentistry unit for Columbia St. Mary’s, mammography vehicles for St. Mary’s Health Center and Aspirus, as well as a general medical unit for Gunderson Health. The company will also be showcasing a recent mobile dental vehicle delivery at the Mobile Health Clinics Association (MHCA) conference September 16-19, 2017 in Phoenix, Arizona. LDV, Inc. has built custom specialty vehicles in Burlington, Wisconsin since its inception in 1977. 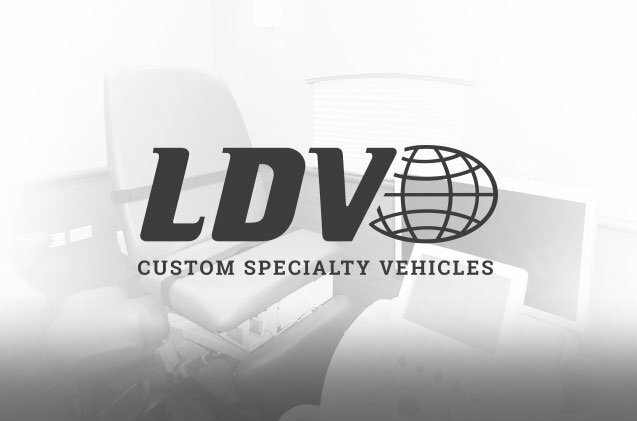 Leveraging more than 40 years of experience in the specialty vehicle industry, LDV, Inc. is the leading manufacturer of a variety of mobile medical vehicles providing mammography, dental, general medical and blood donation services. Delivering innovative technology, dependable mechanical components, and functional designs, LDV, Inc. provides the innovation and quality its customers demand. As the leader in specialty vehicle manufacturing, LDV, Inc. infuses its experience and superior craftsmanship into every truck it builds and is the manufacturer behind a variety of specialty vehicles including Snap-on trucks, emergency response vehicles, mobile command centers, SWAT trucks, mobile medical vehicles, bookmobiles and corporate catastrophe response vehicles for federal agencies, state and local governments, hospitals and corporations. For more information about LDV, Inc. products, services and customer support, visit www.ldvusa.com.